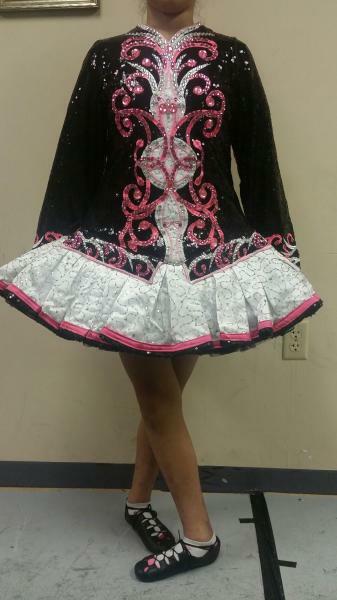 dance.net - Gorgeous Black and Pink sequin dress (10246425) - Read article: Ballet, Jazz, Modern, Hip Hop, Tap, Irish, Disco, Twirling, Cheer: Photos, Chat, Games, Jobs, Events! Gorgeous dress suitable for a 10-14 year old. Please see link for measurements and more details. Shipping from Arkansas, USA. Shipping within US included, buyer to pay shipping outside US.